Choose Your Future. Now, Restart. : "A beautiful woman looking at her image in the mirror thinks the image is herself." "A beautiful woman looking at her image in the mirror thinks the image is herself." The name was also adorable. 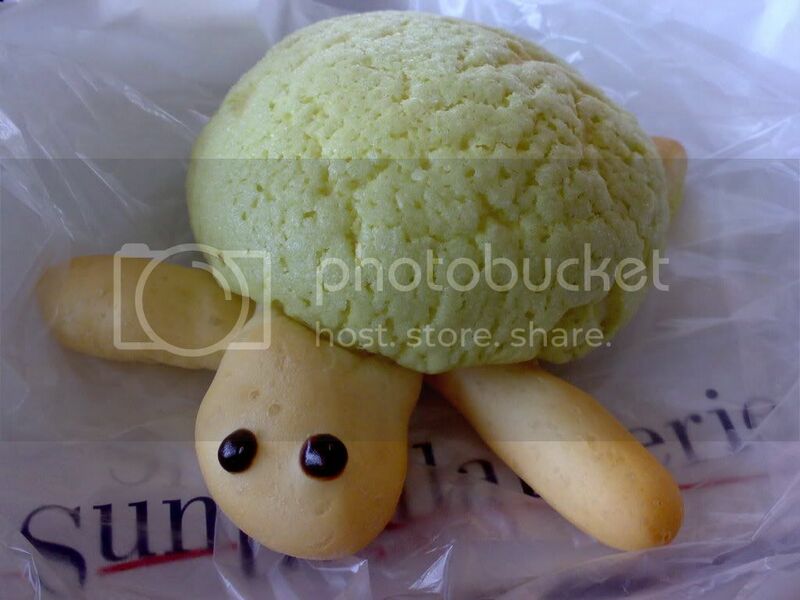 The sign said, "Kameron," kame being turtle and meron for melon bread. I ate the head last so the eyes stared at me in chocolatey reproach the whole time. The next thing I want to preface by saying I usually eat quite healthy, mother, so don't worry! But I had an insane craving for caramel the other day, and that called for a special treat. Though nama - raw - caramel has been the latest craze all over Japan, it's sickeningly expensive. 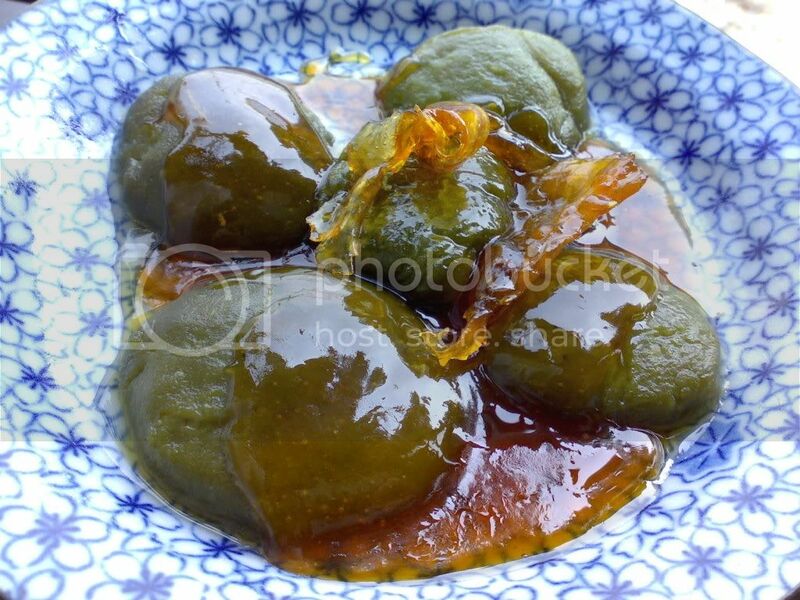 So I made my own caramel and put it on green tea mochi. I have yet to master getting the mochi to form real balls, as you can tell. This was a cup of mochi flour and two spoons of green tea powder mixed, with just enough water to dampen it. Microwaved for two minutes. The caramel is really just sugar - I suppose if I actually followed a recipe - or even been in possession of cream - I could have made it soft so that it would have meshed better with the mochi. But even crunchy as it was the flavors together were perfect. all I can say is what a beautiful woman you are, your father.